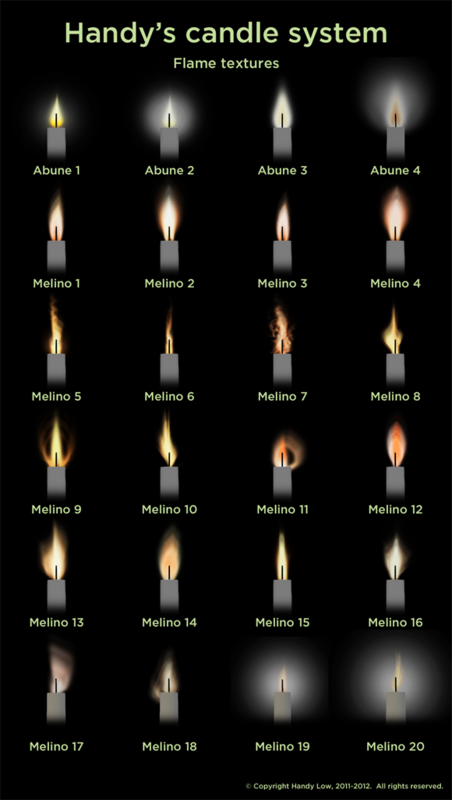 These are the flame textures available with Handy's candle system. Also, you can use your own texture simply by dropping it into the prim contents. The Abune textures are by Abune Audebarn of Abune Clocks & Lamps, and the Melino textures are by Tara Tagore of Melino Style.